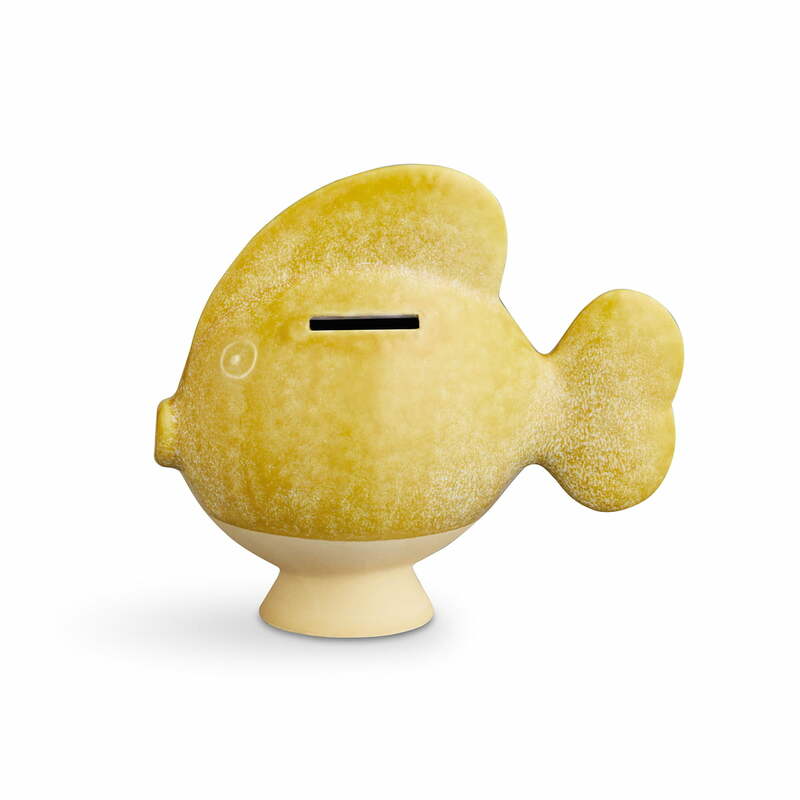 The playful money box in the shape of a fish was designed in the 1920s in the Kähler Design workshops. 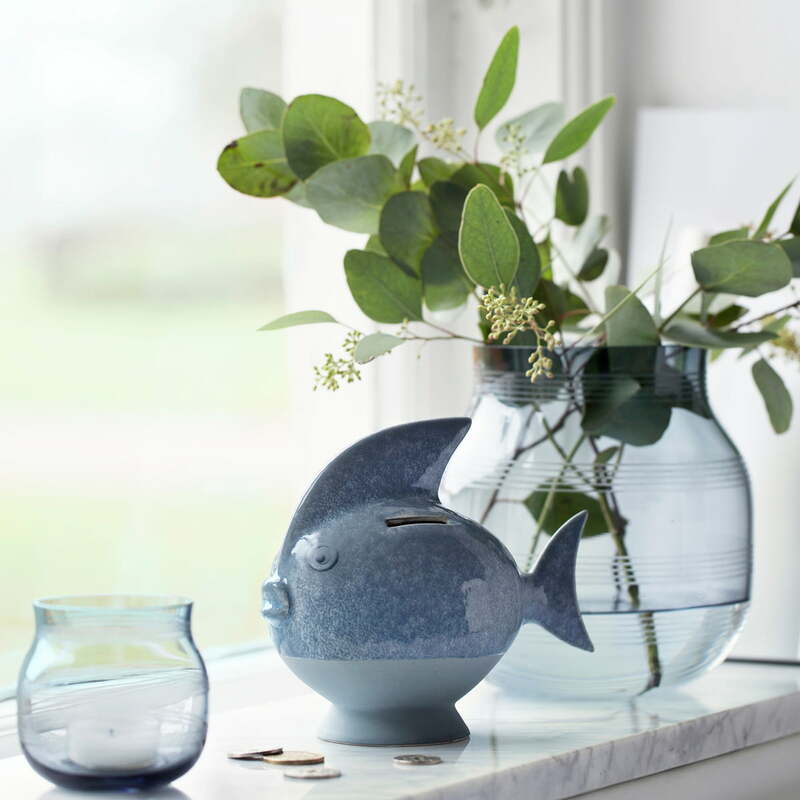 The fish money box are based on old designs, which Kähler's artisans made to refine their technique. 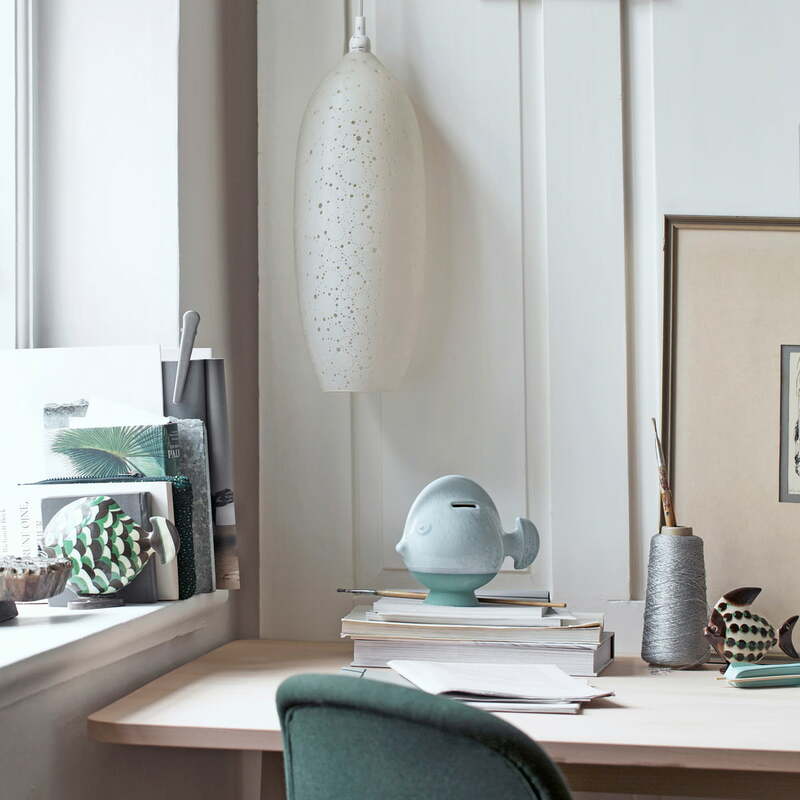 Just like in the past, the fish are still decorated by hand, making each one a special one-of-a-kind item. 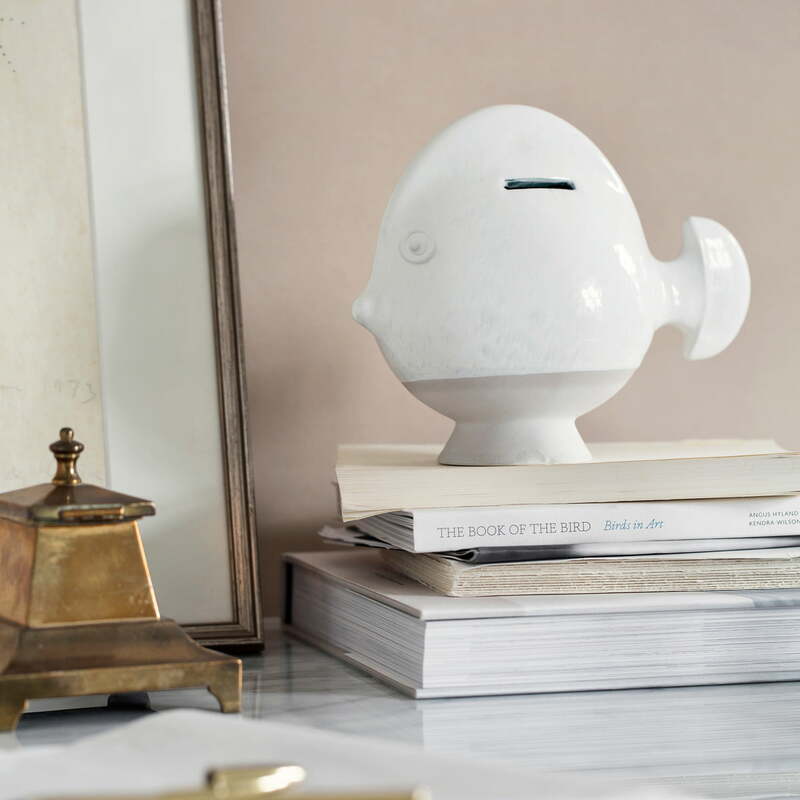 The money boxes are manufactured out of porcelain and are available in various colours. 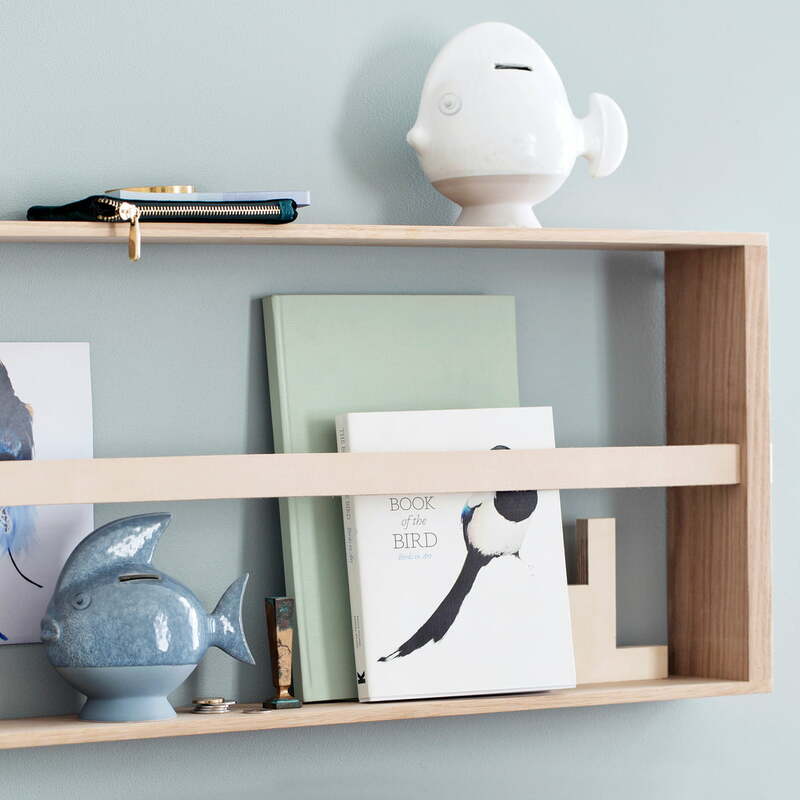 The small fish is a great gift idea for all ages and is a wonderful maritime decoration on the shelf or on the desk.